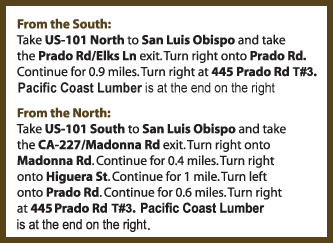 Pacific Coast Lumber (PCL) was founded in 1996 in San Luis Obispo by Don Seawater. Don had been in the lumber industry for nearly 25 years and realized that there was a vast underutilized resource in local urban forest trees. 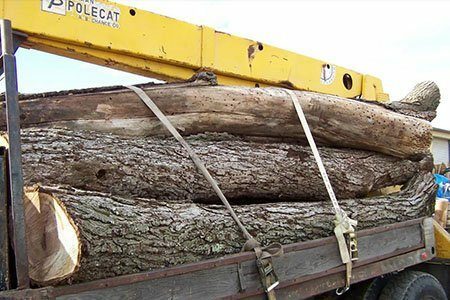 Once they were removed, there were only a few options for the wood: cut for firewood, have them chipped, haul them to the landfill or let them decay where they lay. Don knew there was a higher purpose and use for this local commodity and decided to acquire this material and start a commercial mill. Since then, PCL has become an award-winning leader in this industry. Don sold PCL to Sean and Dana O’Brien in December 2015 and he remains as a close and trusted advisor. Sean O’Brien graduated from Cal Poly in Computer Science in 1991. He was a software engineer and manager for 25 years. Dana O’Brien graduated from Cal Poly in Business Finance in 1990 and had worked in county government for 23 years. She then left to start her own business, A Place to Grow, which builds outdoor lifestyle structures and sheds primarily out of reclaimed materials, and happens to be located 100 yards from PCL. Don frequently supplied materials to Dana, and when he wanted to retire, knowing the synergy between the two companies was strong, he approached the O’Briens to see if they were interested in buying the mill. The rest is history. Sean retired from software engineering and became a lumberjack overnight. PCL is committed to upholding the same principles that founded this company: to make the best and highest use of local urban forested trees. This keeps thousands of tons of material out of the landfill and reduces the huge carbon footprint transporting lumber creates. By making durable products out of local urban forested trees instead of allowing them to decompose at a landfill or be burned as firewood, the carbon from the wood becomes sequestered, keeping it from growing greenhouse gasses in our atmosphere, a major contributor to global climate change. At PCL, we are passionate about using local contacts to find natural resources that have otherwise fulfilled their useful purpose and give them a second life as something functional and beautiful. 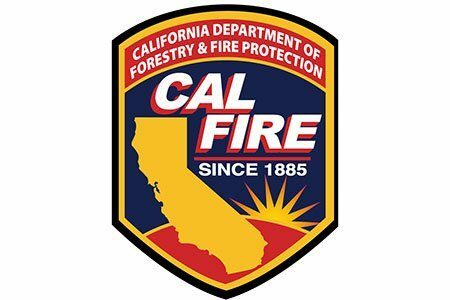 PCL acquires raw log material from a variety of sources including SLO City and other local municipalities, Cal Fire, PG&E, local tree removal companies and home and ranch owners. This is usually due to the removal of dead, dying or hazardous trees, storm downed trees or land clearing. These trees have typically lived their useful lives and are ready to find a new purpose. This style of logging and milling is what produces urban forested lumber. The benefits of repurposing these trees are tremendous. Local resources stay local thereby reducing their carbon footprint. Another advantage is carbon sequestration, which occurs when local natural resources are crafted into durable and lasting products. Doing so prevents the release of their carbon content into the atmosphere when they burn or decompose. Urban Forestry is the act of maintaining and caring for trees in our local urban areas, such as downtown city areas, parks and open spaces, as well as those in our neighborhoods and ranches. Many municipalities, such as the City of San Luis Obispo, have public ordinances to guide how best to help manage this valuable resource. 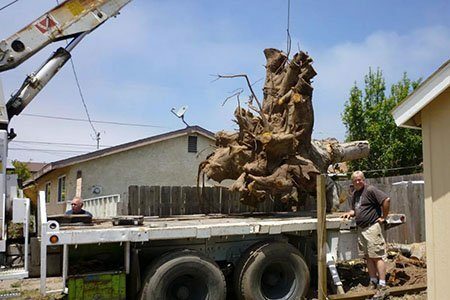 Urban Forested Lumbering is the act of utilizing these trees after they have been removed. By keeping these materials local, it reduces the carbon footprint of transportation and allows the public to partake in the bounty of the variety of local wood milled. 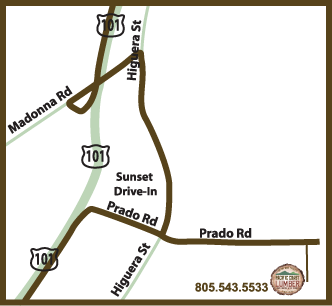 San Luis Obispo has a master list of trees that grow and are maintained by the city tree staff. Call anytime or stop by our shop during normal business hours and we can discuss your next unique dream project! We’d love to hear from you. Please contact us with questions, comments and feedback, or for a quote on any of our custom products and specialty services. HELOC and Signature Loan packages. Ask for an application today!